This event is all about choices! You get to choose which of these awesome paintings to create, and we will have two canvas sizes for you to choose from that night! 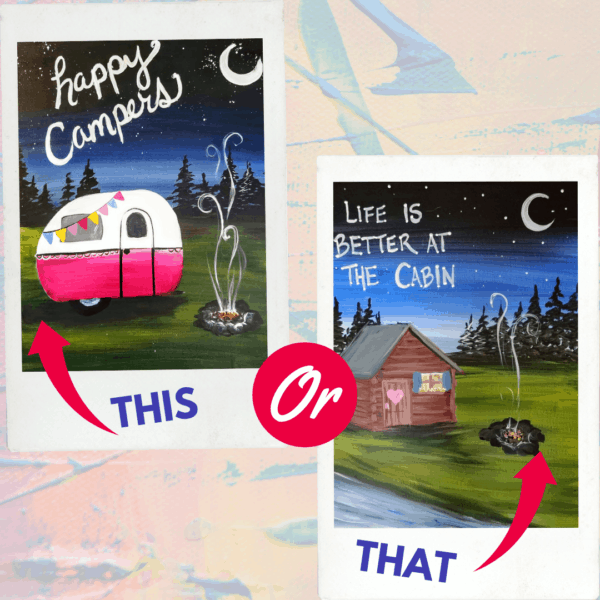 Our original size (16×20″) and a smaller size (11×14″) so it can fit in your camper! Or if you really want to try something awesome, you could choose to paint one of the images on a 10×18″ pine board. No need to choose when buying tickets, we will just have all the sizes there that night for you to choose from!